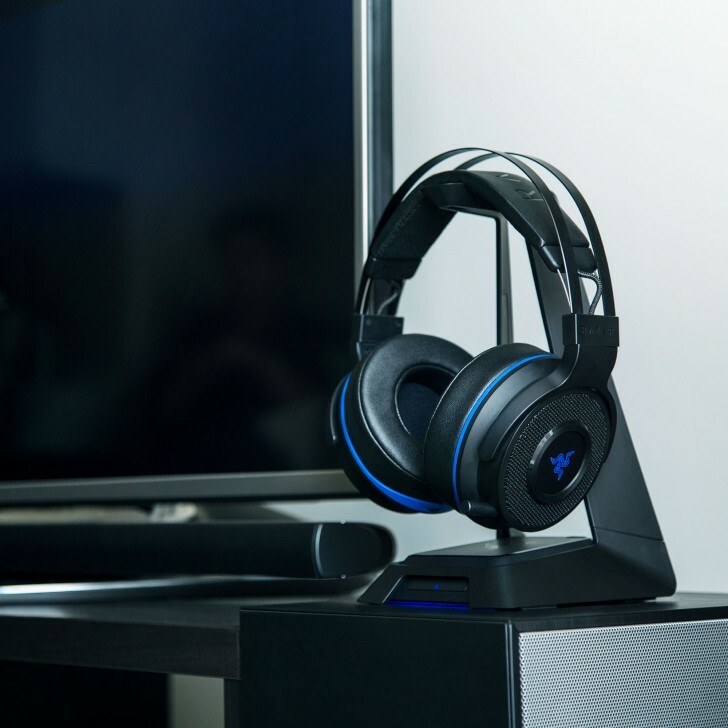 Razer announced a new wireless gaming headset for the PS4 and Xbox One, the Razer Thresher Ultimate. It will be available in two variants for each console and both versions will also work with the PC. The Thresher Ultimate uses a base station that transmits at 2.4GHz to the wireless headset for a lag-free transmission and also an enormous 40ft/12m range. The base station connects to the console over an optical audio connection. 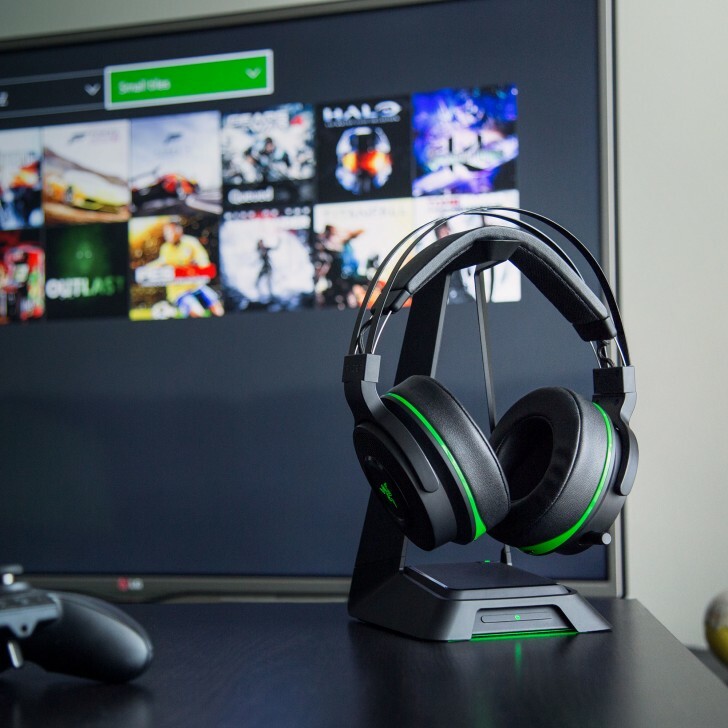 The headset also includes a stand that sits around the base station and holds the headset when not in use. The headset itself features large 50mm drivers that deliver 7.1 Dolby Surround Sound positional audio. Built-in controls help you control the master and mic volume. The left ear cup features a retractable omnidirectional microphone. The main focus with this headset is comfort. The ear cups have plush leatherette cushions that cover your ears completely for isolation. The cushions are also designed with foam indentations for temple relief for those who wear glasses. Both the PS4 and the Xbox One versions are officially licensed. The PS4 version works with PS4 and PS4 Pro and the Xbox One version works with Xbox One, One S and One X. As mentioned before, either version works with PC so you can choose whether you want it in green or blue if you are buying for the PC. Both versions are priced at $249.99/€279.99 and will be available on Razerzone.com this month and worldwide in July.